KAINA is a first-generation Latina, born and raised in Chicago. The sweet-hearted optimism in her writing aims to connect to and lift the spirit of the listener. Through the mentorship of Chicago natives like The O’My’s, her multidisciplinary work around the city with various organizations, and collaboration with her peers, she found a sound for herself that is gentle yet full of soul and intent. Last year she premiered her single “f*cked up” on Clash Magazine and a 3-track EP entitled ‘4u’ that follows up her last release called ‘sweet asl’. 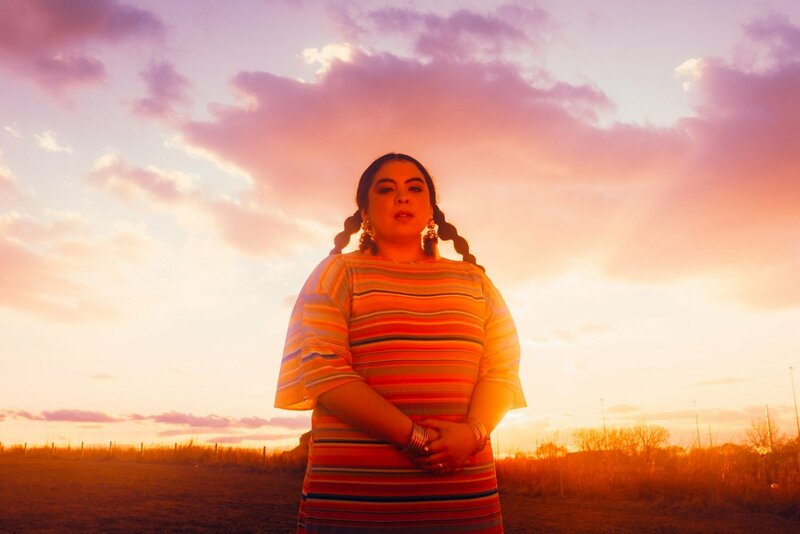 Her work joins company with her features on Saba’s “CARE FOR ME” and subsequent Tiny Desk appearance as well as Sen Morimoto’s “Cannonball!” and The O’My’s “Tomorrow”. She continues to write songs while playing shows around the country, most recently as a main act at Red Bull Music Festival Presents: XICAGO, as well as a direct opener for Kali Uchis at Concord Music Hall and Jamila Woods at House of Vans. KAINA embodies a soft, savory voice that’s sharp enough to remind you of what happens when you get too close to the sun.